The Public Education Foundation is governed by a Board of Directors who volunteer their time to ensure good governance and to shape the Foundation’s strategic direction. They are all passionate about public education and committed to improving equity in Australia’s education system. "I see education as the most powerful tool for a just, fair and civil society... from primary, secondary and tertiary. to experience an excellent education in an environment that is welcome and accepting of all." 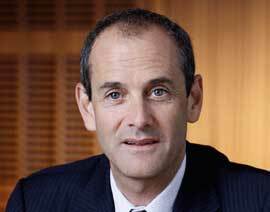 David Friedlander is the head of King & Wood Mallesons’ Australian public mergers & acquisitions. He is consistently ranked as one of Australia’s top M&A and equity capital markets lawyers and was named the Best Lawyers’ 2014 Sydney Mergers & Acquisitions Lawyer of the Year and the 2016 AFR Best Lawyers, Lawyer of the Year (Corporate Law). David attended Vaucluse Boys High School. He holds a Bachelor of Commerce and Law degrees from the University of New South Wales and a Master of Laws degree from the University of Sydney. He is a former member of the Australian Takeovers Panel, the ASX Capital Markets Panel and its Disciplinary Tribunal. He is currently on the Adara Panel and the Corporations Committee of the Law Council of Australia. In 2013 Chris became a board member of the Public Education Foundation, having served as relieving CEO. In 2016 he was appointed Chair of the Foundation. Professor Judyth Sachs has an eminent career as an educator working in schools, education bureaucracies and universities. She is currently a Special Advisor at KPMG where she is contributing to the higher education practice and Director of Judyth Sachs Consulting. 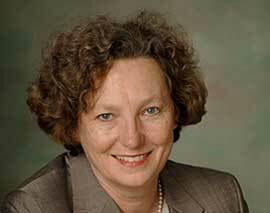 She has held senior management positions at Macquarie University, where she was Provost and Deputy Vice Chancellor from December 2006–March 2014, and at The University of Sydney, where she was Pro Vice Chancellor Learning and Teaching, Chair of the Academic Board and the first woman Professor of Education. Her academic work has focussed on the teaching profession, teacher professional development, women in leadership and higher education. Judyth has chaired academic reviews in Sweden, Hong Kong, Canada, UK and Oman, and is a past president of the Australian Association for Research in Education and a former member of the Executive of the Australian College of Educators. Robin is a non-executive director serving on the boards of listed companies: Appen Limited, AUB Group Limited, CSG Limited and IPH Limited. 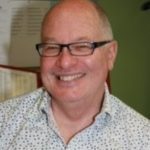 Robin is a member of the Audit and Assurance Standards Board and is also on the boards of Sydney Medical School Foundation and Primary Ethics Limited. Robin is a chartered accountant and former audit and risk partner with PricewaterhouseCoopers where she worked for 28 years. Professor James Arvanitakis is the Dean of the Graduate Research School at Western Sydney University. He is also a lecturer in Humanities and a member of the University’s Institute for Cultural and Society. James was also the founding Head of The Academy at Western Sydney University. His research areas include citizenship, resilience, piracy and the future of universities. James has authored over 100 articles and in 2017 released the book Property, Place and Piracy. James is a regular media commentator appearing on ABC TV and hosts the podcast ‘Sociologic’. James is a member of the Australian Research Council: Excellence in Research for Australia 2015 Evaluation Committee, a member of the panel of experts for the Tertiary Education Quality and Standards Agency (TEQSA), on the committee of the Australian Human Rights Education Council, a member of the peer review committee Australian Awards for University Teaching, is the Chair of Diversity Arts Australia and a research fellow at The Centre for Policy Development. Jane Caro is an author, lecturer, mentor, social commentator, columnist, workshop facilitator, speaker and award winning advertising writer. She has a BA in English Literature from Macquarie University and has published ten books. Jane regularly contributes articles and opinion pieces to a number of publications and appears as panellist and an expert commentator on commercial and public broadcasters. Jane is on the Boards of Bell Shakespeare and the Public Education Foundation. 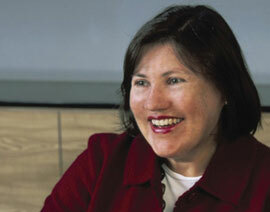 Carol Taylor is an Education Consultant and a member of the NSW Education Standards Authority. She is also an Honorary Senior Lecturer in Education at the University of Sydney. 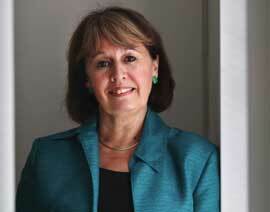 Carol has recently been an advisor in education to the NSW Education Minister. She was formerly the Chief Executive of the Board of Studies, and Acting Chief Executive of the NSW Institute of Teachers. Carol is a recognised expert in teaching and educational standards, as well as educational measurement. In 2014 Carol was awarded the Professional Teachers Council Award of NSW for Exceptional Service. David has worked as a teacher and administrator in public education for more than 40 years, teaching in rural and urban schools as well as delivering adult education and training. A former advisor for education programs targeting disadvantaged students he has been active in brokering philanthropic support for public education. He has been a member of the University of Sydney Professional Development Advisory Board for Education. His not-for-profit experience includes a long term directorship of the Teachers Health, more recently being appointed Deputy Chair. He is also a member of the Nurses and Midwives Health Fund.